National Pet Fire Safety Day is July 15th, and it’s a great time to go over some fire safety tips that can prevent fires in the home and keep your dog safe should a fire break out. 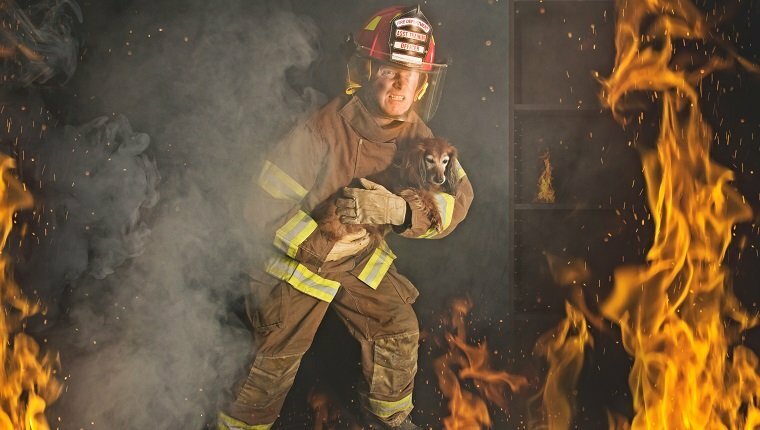 The National Fire Protection Association (NFPA) says pets are responsible for over 1,000 house fires every year in the United States, and an estimated 40,000 pets die in fires, mostly from smoke inhalation. Being prepared and following safety tips could save your dog’s life, as well as your own. Fires started by pets are almost always due to owners mistakenly leaving their animals in dangerous situations. You may have heard of the dog who accidentally turned on a stove and lit a pizza box on fire as he tried to get a slice of pizza while his owners were in the other room. Luckily, the damage was minimal and the owners stopped the fire in time. Unfortunately, this is not always the case, and it’s just one example of the kinds of danger dog owners can unwittingly put their pets and themselves in. Use flameless candles that have a light bulb instead of a wick. 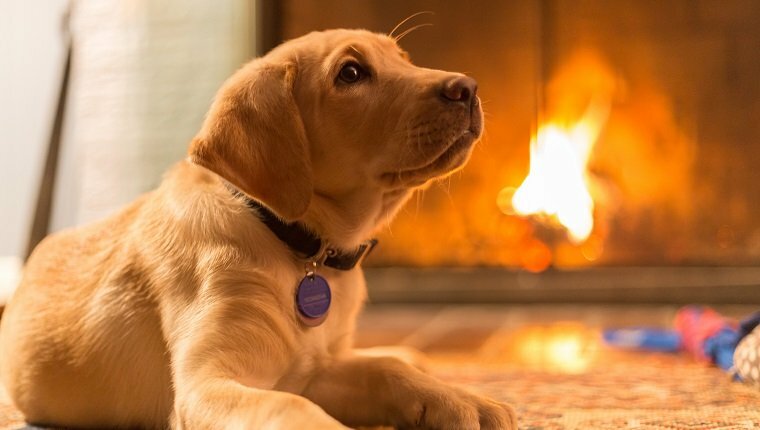 If you prefer the real thing, never leave pets unattended in the presence of an open flame, whether it’s a candle, fireplace, stove, or any other fire they can reach or accidentally knock over. 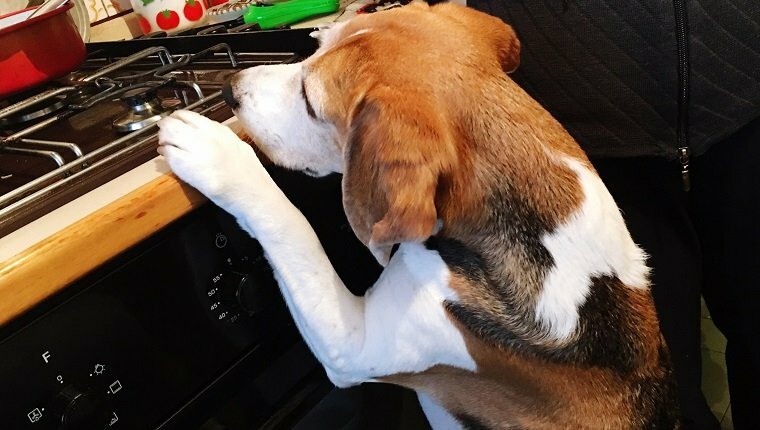 If your dog is tall enough on their hind legs to reach counter height, remove stove knobs when you leave the kitchen, or you can find knob covers that will keep them from turning on the stove accidentally. The NFPA says a stove or cooktop is the number-one cause of fires started by pets. Electrical cords can sometimes be seen by your dog as a chew toy. When they are damaged, they can spark and cause electrocution or a fire. Secure any cords and hide them behind furniture or other obstructions. You may wish to unplug them if you leave cords unattended or spray them with something bitter as a deterrent. Further aversion training may be needed if your dog still tries to chew cords. Do not leave your dog on an electric blanket unattended. Dogs can chew on these, exposing the wires, which can cause electrocution or heat up and catch the blanket on fire. Replace any old electric blankets that show wear and tear. Use stainless steel or ceramic pet water dishes on your wooden deck. Filtered and heated through glass and water, the sun’s rays can ignite the wood beneath the bowl. Check your home for potential hazards such as loose wires, stove knobs, and piles of paper or other rubbish. Keep your dog’s collar on at all times and place leashes near the door so first responders can use them to lead pets to safety. Dogs are often waiting at doors and run out when firefighters come in. You may want to confine dogs in rooms or areas near an entry door when you are out of the house so firefighters can find them easily. Pets are more likely to be injured or to die in a fire when they are locked in a kennel or room away from an exit. If you live in a fire-prone area or are concerned about a fire potentially starting, consider installing monitored smoke detectors so firefighters will be notified of and can respond to a fire even if you’re not home. Note where your pets like to nap or hide in case you must evacuate your home quickly. Have an emergency plan and practice routes of escape with your dog. Include all members of the family in this plan and make sure they know what to do and where to go. Make an emergency kit that you can easily grab on the way out. Make sure it has a leash, medication, and any immediate needs your dog might have for the next few days. Keep the phone number and address of a local animal hospital handy. If your pet is injured, you’ll need to know where to take them for treatment quickly. Alert firefighters to the presence of pets with window stickers that display the number and types of pets inside, and make sure the stickers are up to date. The presence of one reminds firefighters to spend a little more time searching the house for pets. Free stickers are available at local volunteer firehouses nationwide on July 15 and from the ASPCA. Dogs may also be in danger of fires outside the home. 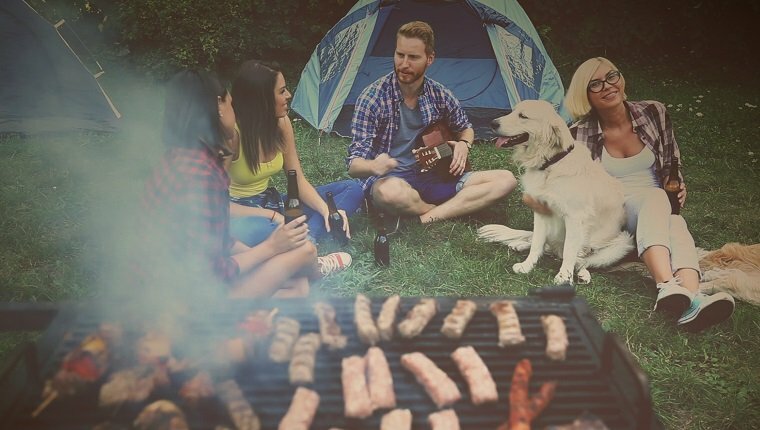 Campfires and cookouts are popular during the summer months, and dogs are often with their families having fun at these events. You can find summer barbecue safety tips here to keep your pup safe around the grill, fireworks, and food. What other ways do you keep your dog safe from fires? What is included in your emergency plan to get your dog to safety quickly? Let us know in the comments below!